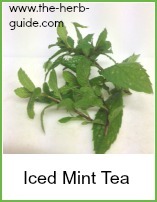 This mint tea recipe is very simple to make. Don't let it brew longer than 10 minutes or its delicate flavor may be spoiled. This recipe will make 2 cups. If you don't have a special pot, you can use a mug or cup to brew the tea. 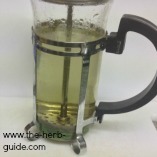 Put a saucer over the cup to keep the volatile oils from escaping and the heat in. 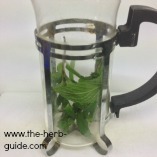 Take a handful of fresh mint - peppermint is best for medicinal purposes. You can afford to be generous, it grows like mad in the garden. Rinse well to get any bugs off. 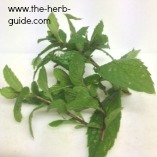 Roll the mint, leaves and stems in your hands to crush it - this begins to release the essential oils. 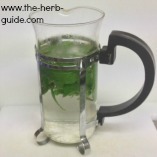 I use a cafetiere to make my mint tea - top up with just boiled water. Put the top on which helps the volatile oils remain in the pot. Allow it to brew for no more than 10 minutes. 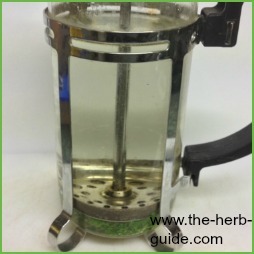 You can sweeten this recipe with honey if you need to - it's an acquired taste like all herbal tea. Take up to 4 cups a day to relieve flatulence. It is soothing, refreshing and comforting. 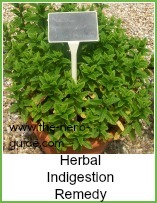 It is possible to use any kind of garden mint instead of peppermint, but it has less menthol and so has a milder effect. You can buy dried mint quite easily. It's generally on sale at the grocers and any health shop will have larger packs. You can also buy mint tea bags - or you can make your own with a small piece of muslin and pop your home dried mint into it. The short video shows you how easy it is to dry mint using the oven. You can time it so that you use a cooling oven after you've finished cooking - you'd only be wasting that heat, so you might as well dry some herbs! There's a series of 'Preserving Herbs' videos linked from this one which will show you the most common methods of drying herbs. 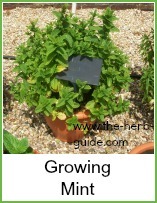 It's very easy and if you have herbs growing either a surplus from the supermarket plant or in the garden, you won't be wasting any. 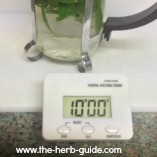 This method is suitable for using with any herb - you can use fresh or dried. 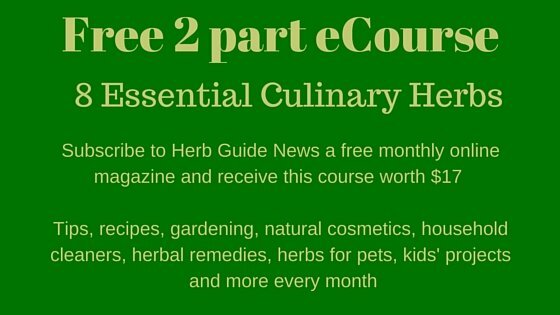 A tablespoon of chopped fresh herb is usually equivalent to a teaspoon of dried chopped herb. 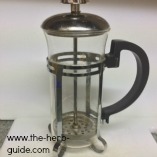 There are some great reusable gizmos if you're making herbal tea. It's best to buy your own herb material or grow it yourself if you can. That means you're going to have loose tea of course and bits floating on the top are an irritation. 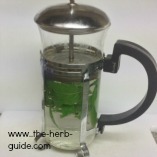 Herb tea is supposed to be relaxing! So, one of these tea infusers or a special pot will save you the problems.